Inspector General of the Department of Homeland Security, John V. Kelly, states that the data of 2.3 million disaster victims was unlawfully disclosed with a federal contractor. This contractor was being used to help find temporary housing for victims. 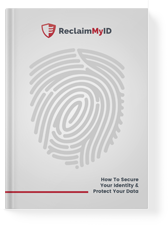 Sign up for an identity theft restoration service that covers your entire family, such as ReclaimMyID. If you become a victim of identity theft, this company will work to restore your identity 100%. Keep an eye on your financial statements daily. Consider placing a fraud alert or credit freeze on your credit file.